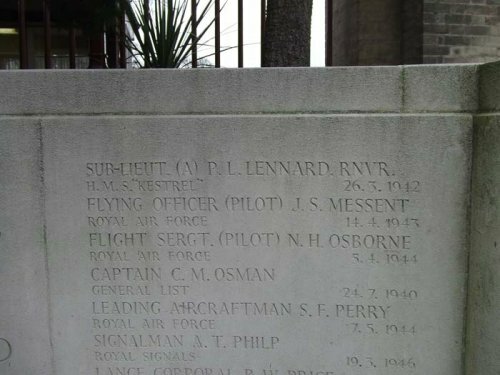 501 Squadron – Paul Leonard Lennard, from Eltham, South London was one of the Fleet Air Arm pilots attached to the RAF to replace the losses from France. His service began on 23rd June 1940 and two days later he arrived at 5 OTU Aston Down and, after converting to Hurricanes, he joined 501 Squadron at Croydon on 8th July. He was posted away to 760 (FAA) Squadron on 20th July 1940 and then to 808 (FAA) Squadron on 20th August. He embarked with the squadron on HMS Ark Royal on 22nd October. In April 1941 Lennard was at Worthy Down, then occupied by the FAA and known as HMS Kestrel. He was killed there on 26th March 1942, aged 20. Fairey Albacore X9228 was aloft on an engine test when it crashed at Telegraph Hill, east of Winchester. Also killed were two brothers, Alexander James Watt, age 28 years and Donald Malcolm Watt age 20, both from Southsea. It has not been possible to determine the cause of the crash or why two civilians were aboard. 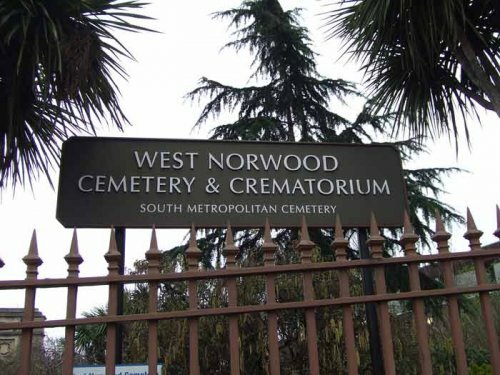 Lennard was cremated at West Norwood Crematorium, Lambeth, London.